Pumpkin carving is a wonderful tradition... on paper. In real life, it can be messy and kind of gross and so so much clean-up follows. Then the pumpkins get soggy sitting outside for weeks before trick-or-treaters even show up. 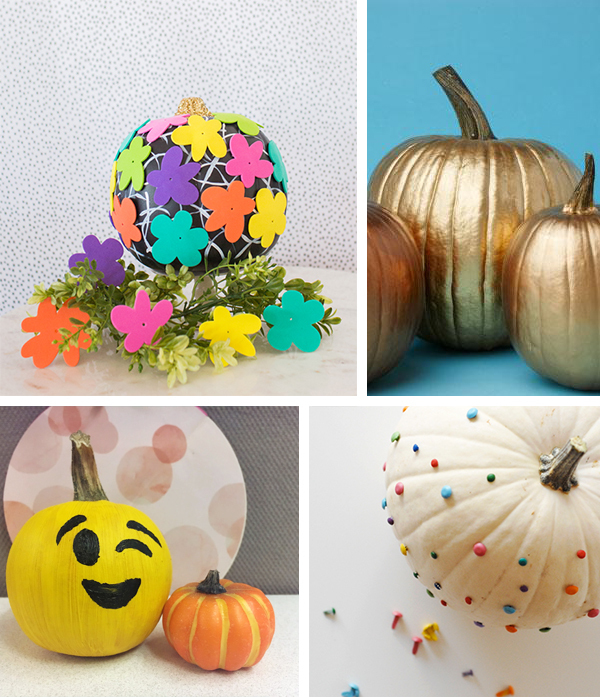 Here's a More Fun idea for keeping pumpkins a tradition, but putting a new spin on them: paint them instead! There's less clean up, no sharp objects involved, and it's an easy way for everyone to really personalize their pumpkin! Plus, they can be kept inside and won't get yucky so quickly. For extra-easy decorating, use spray paint. This idea is 100% borrowed from the team at Oh Joy!, who each painted a pumpkin in the style of a famous artist last week (Andy Warhol above). Not only is this a great way to spark a little bit of inspiration, it is a great way to teach your kids about some of history's most famous artists. Even the littlest kids can pull off a Pollock pumpkin! 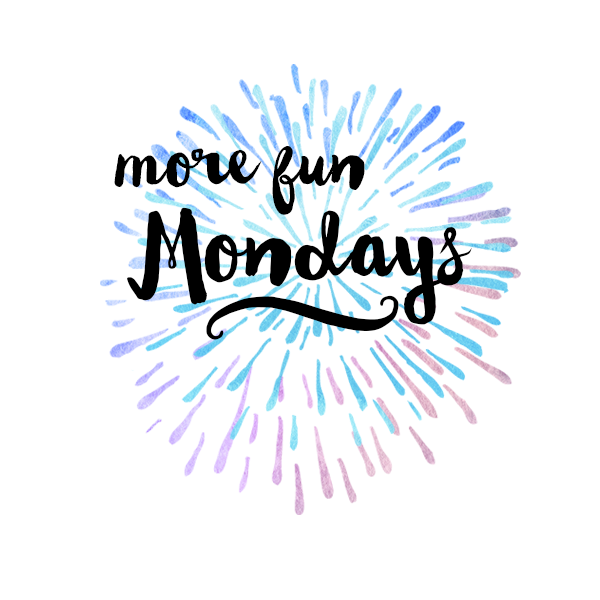 In case you're new around here, we love all things Emoji. You only need a few colors of paint, and can even use print-outs if you'd like to put together different faces. Use a box of office tacks to create a perfectly polka dotted pumpkin. For something super trendy, go with simple gold tacks, or get more playful with a variety of colors. You can even paint the pumpkin first for a little more POW! This is probably the easiest way to get a super unique look. Grab a can of spray paint and you're good to go. You can always add on details with a paintbrush after the spray paint dries, too. Warning: You may want to spray paint everything metallic after this. Doable DIY White Chocolate Ghosts and Mummies! Yum! Do you paint or carve your pumpkins?